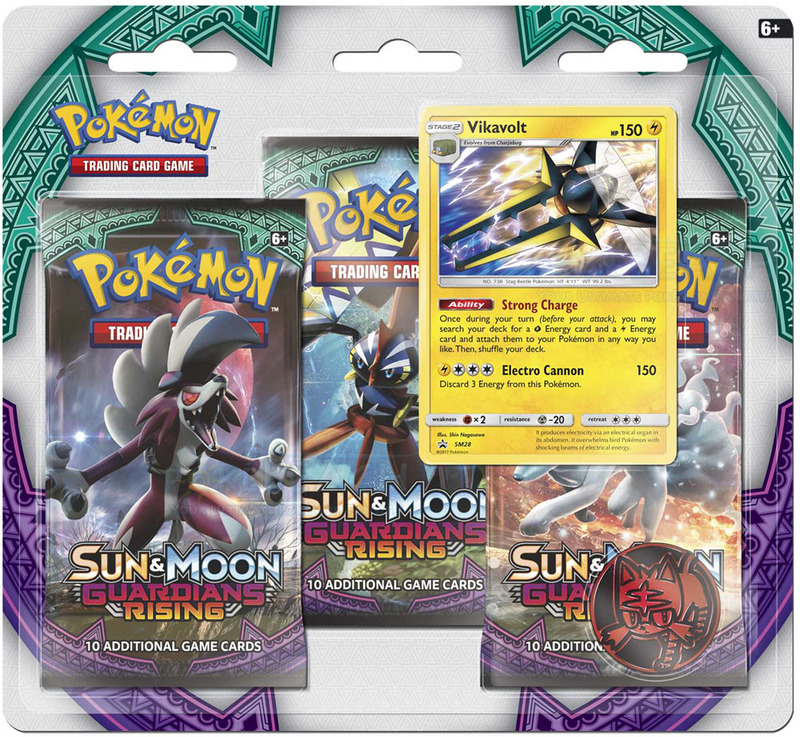 New Pokemon TCG blisters featuring Turtonator and Vikavolt promo cards will be released this May. Both blisters will feature booster packs from the upcoming Sun and Moon expansion, Guardians Rising. 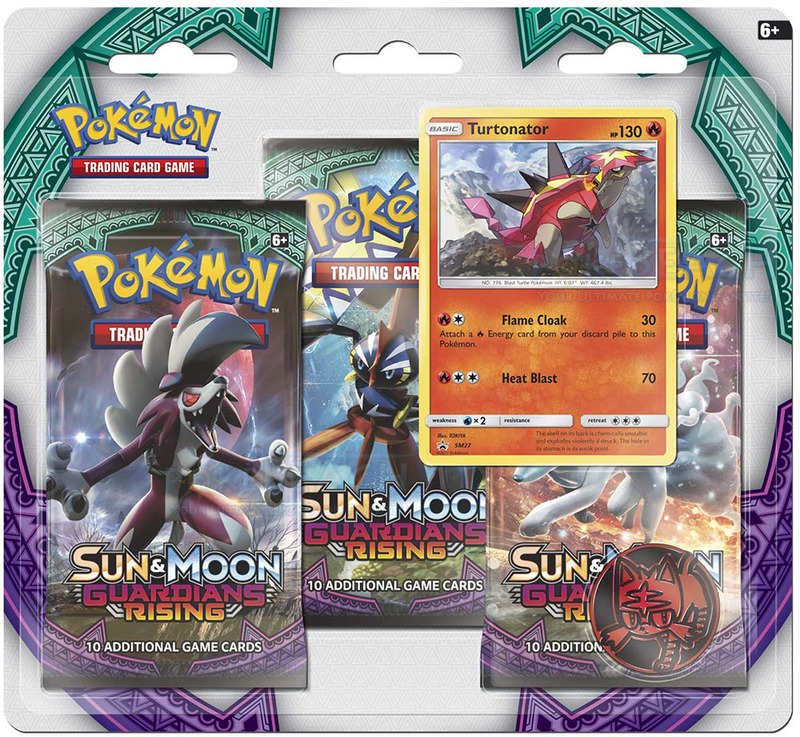 As we usually see with blisters, each one will include 3 booster packs, a promo card, and a plastic Pokemon coin. Given the current price of Sun & Moon blisters, expect these to be priced at $12.99.